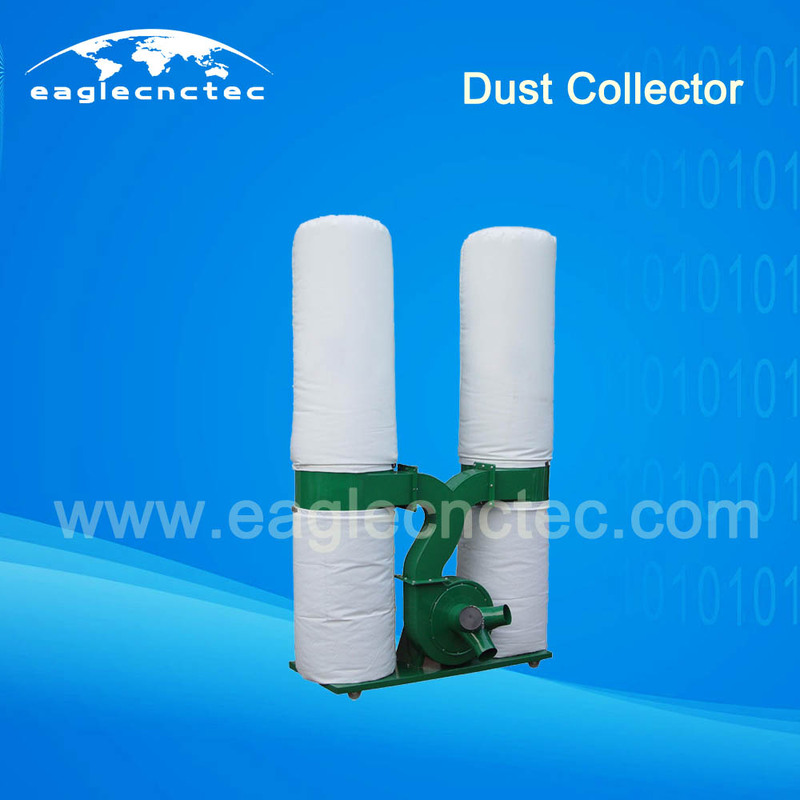 Saw dust collector for woodworking cnc router has another name of dust extractor. It is an optional device for woodworking cnc router equipment. Its function is to extract the saw dust from the working table of router machine during machining and keep the working area clean. If you would like a clean working area, please equip a complete dust collecting system for your machine. There are two types of saw dust collector, two bags and four bags. Generally speaking, 2.2 kw saw dust collector has two bags; while 3.0kw saw dust collector has four bags. Western Union, Paypal, and Bank Transfer.